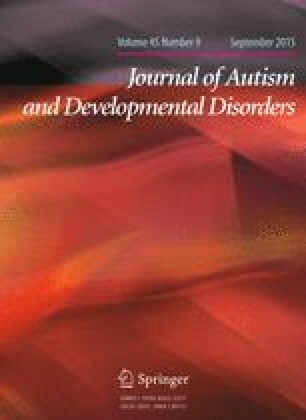 Few published studies have reported on the psychological well-being of family members of individuals with Rett syndrome (RTT). Eighty-seven mothers of girls and women with RTT completed a questionnaire survey about their daughters’ behavioral phenotype, current health, and behavior problems, and their own and a sibling’s well-being. Mothers reported increased anxiety but similar levels of depression when compared to a normative sample. Across all problem domains on the Strengths and Difficulties Questionnaire, child and adolescent siblings (n = 39) were reported by mothers to have fewer difficulties than a normative sample. The severity of their daughters’ RTT behavioral phenotype predicted increased anxiety and stress for mothers. Increased RTT daughters’ current health problems predicted more maternal perceptions of positive gain. The research reported in this paper was supported by a grant from the National Institute for Social Care and Health Research (Grant Number SCS/08-01). The information presented in this paper is the responsibility of the authors and does not necessarily reflect the views of the funding agency. The present paper is based in part on a doctoral dissertation submitted by the first author to Cardiff University. We wish to thank the families who participated in this study and also Rett UK, who have provided long term support for the British Isles Rett Syndrome Survey.